Dogs serve as a daily reminder to live gratefully, and gracefully in the moment. Offer a bowl of kibble, table scraps, a romp at the beach, a visit to dog park, a new squeaky toy or just a few kind words and it’s a safe bet that you’ll be whacked with a whipping tail, or slurped across the mug with a sandpaper tongue. How often do we, their two-legged partners, match their joy or appreciation? I mention this in honor of Anthony Battista Greco, a friend who passed away last week after a long struggle with lung problems. If Tony were a dog, he’s have been one of those happy oversized breeds (my neighbor’s Bernese Mountain Dog, Bruin comes to mind) that bowl you over with the force of their good nature. Tony was a talented musician, director, writer and entrepreneur and an amazing husband, father of four and devoted brother. If we get to choose our heaven, I see him playing piano with George Harrison (Tony loved the Beatles) hosting a raucous, never-ending party for all of the fabulous artists that have gone before him, and any fun-loving strangers, too. 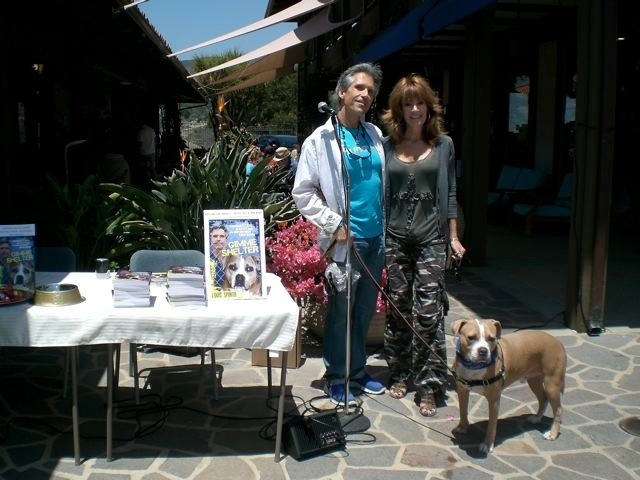 This post is about saying ‘Thanks, Grazie, Danke, Merci, Domo Arigato’ and so we’d be remiss not to mention Bank of Books, our intrepid West Malibu booksellers who hosted a signing for me and Tanner last Saturday. It was a gorgeous day and we had a ball chatting with friends and strangers who stopped to buy Gimme Shelter and have us ink their copies. 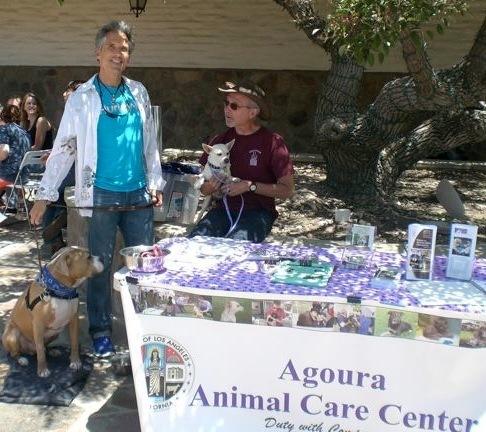 Volunteers Ellen Naumann, and Andy from the Agoura Hills Animal Care facility were there with information about the shelter’s work helping dogs, cats and even rabbits in need. ‘Skittles’ the miracle dog was there, too. After a host of surgeries to fix a severe leg deformity (performed ‘pro bono’c courtesy of Malibu Pet Companions) the brave little guy is 100%. Now all he need is someone to step up and give him a full-time home. 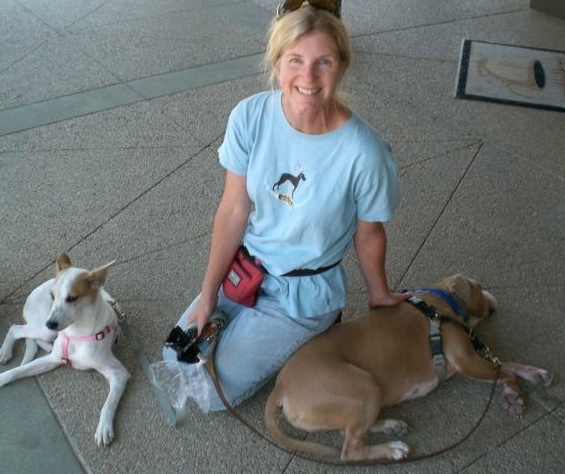 Ellen, a respected dog trainer, had just started at Agoura in early 2009 when Tanner was brought in by a kindly woman who found him roaming on Las Posas Road in Camarillo. Eugenie and I always wanted to thank her for saving him and on Saturday we got the chance when Nancy stopped by to introduce herself. She remembered Tanner as a cowering stray, all head with an emaciated body. She and Ellen were both thrilled so see him looking so healthy and happy. ← HARRY HAMLIN LOVES ‘GIMME SHELTER’!